Game of Thrones season 7 episode 2 — 'Stormborn' — had several moments that stood out, for a variety of reasons. There was that Melisandre-Daenerys meeting; the Dany-Varys showdown; the Grey Worm-Missandei make-out scene; Jon's exchanges with his bannermen, Sansa and Littlefinger; Arya's reunions with Hot Pie and Nymeria; and Cersei and Jaime's throne room politicking. Oh, and there were the bits when Sam stuck a scalpel into Jorah Mormont and tried to cure him of greyscale by slicing all of it off. Not pretty. 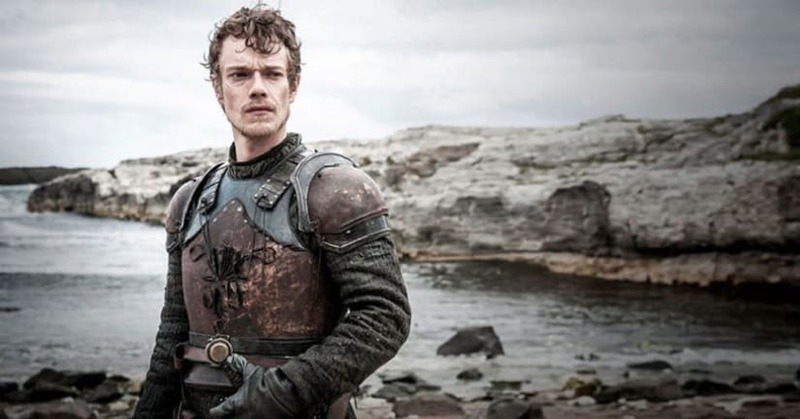 Among all those moments, there was one that particularly seemed to resonate with the internet: the one where Theon Greyjoy jumped ship just when evil uncle Euron had his sister Yara in a stranglehold and was taunting his nephew to come get her. Theon's 'betrayal' of Yara, as some have read it, couldn't have come at a more poignant time. Just minutes before Euron launches his attack on their ship, Yara is telling Ellaria Sand that her little brother will protect her. Theon is discomfited by the sexual flirtation between Yara and Ellaria — it's a reminder to him of what he can no longer experience, thanks to Ramsay Bolton's snip-happy ways. Theon is not the only character on Game of Thrones to have undergone castration — Grey Worm and all of his Unsullied soldiers are subjected to it when they are boys; Lord Varys too has his manhood taken away by a sorcerer early on in his life. But for none of the others is this fact of their being castrated a sign of emasculation, as it is for Theon. Perhaps it has something to do with his cocksure (pardon the pun) ways when he was whole. The pre-Ramsay torture Theon was vastly different: actor Alfie Allen played him as arrogant, trigger-happy, full of himself. He's also a man caught between his loyalties to the Starks, and the Ironborn. The first time Theon 'jumps ship' is when he abandons his plan of helping Robb Stark by getting together the Iron Fleet to help launch an attack on King's Landing. On his first visit home since the time he was taken away as a boy by Ned Stark to foster (but really to ensure that Balon Greyjoy wouldn't lead another rebellion of the Ironborn against Robert Baratheon), Theon is swayed by his father into turning against the Starks and attempting to take the North while Robb is away. A lot of Theon's persona then is just bombast and swagger, but he does carry out some cruel acts — the beheading of Ser Rodrik Cassel, the killing of two farm boys in place of Bran and Rickon. Despite that, the extreme torture he undergoes at the hands of Ramsay once captured, seems to have washed him of these sins in the eyes of most viewers. Who can forget that scene, where after having taken a knife to Theon, Ramsay sits calmly at his table, eating a massive sausage that leaves us in no doubt as to which part of the anatomy it was that got sliced off his captive. As sadistic as Ramsay is, the castration of Theon is not just about the inflicting of agony, it is about taking away his identity — one in a series of steps that is meant to transform him into Reek. His transformation is so complete that when Yara herself comes to save him, Theon/Reek refuses to leave his dungeon. He is the perfect prisoner, the perfect slave to Ramsay. There are a few characters on Game of Thrones who've had a chance to redeem themselves: Jaime Lannister for instance, even Sansa — whose silliness first warned Cersei of Ned Stark's plans to ferry his girls back to Winterfell. When Theon shakes off his Reek persona to kill Myranda and then take that leap of faith off the ramparts of Winterfell with Sansa, saving her from Ramsay's clutches, it made for a spectacular redemption for his character. He fell to the snow below, only to rise in esteem. In the time since, he's been trying to be a good brother to Yara, seconding her in all her plans — a sea change from the Theon who once wanted to be the 'top man'. In 'Stormborn', however, all of that comes crashing down. Faced with Euron's threats, and Yara's unspoken plea — Theon jumps. This time, not to save anyone else, or even himself — but just because he doesn't see what other course of action there is. It isn't even the calm, collected leap of Tommen Baratheon, who sees that the world he knows/has envisaged is one whose violence he cannot fathom, and therefore chooses to exit it. Theon's jump is a panicky splash into the water, spurred by the horror of the brutality around him, his own experiences with it, and being 'unmanned' by Euron's taunts. It could be construed as a fall from grace — or, as many have pointed out, a classic example of PTSD. It's also an incredibly real moment. Isn't this just what Theon would do, given his history as Reek and the odds that are stacked against him? Sure, it would have made for a heroic and triumphant moment had Theon charged at Euron with his sword, and managed somehow to save Yara. But Game of Thrones doesn't believe in reprieves (except when the Lord of Light decrees that it can be done). It doesn't believe in getting a last minute stay on the executioner's sword or an enemy's weapon — not when the blade is about to come down on Ned Stark's neck, or on Jaime Lannister's hand, or against Catelyn Stark's jugular. The story rarely caters to what might make for happier viewing, and Theon's jump — while sad — is also fitting. 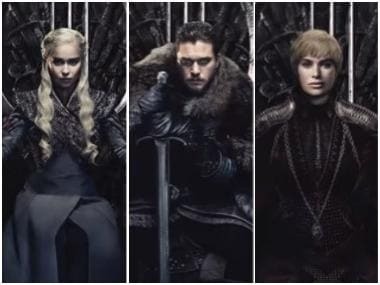 As Game of Thrones hurtles towards its grand finish (only 11 episodes in total for it to end), what's in store for some characters seems easier to divine. 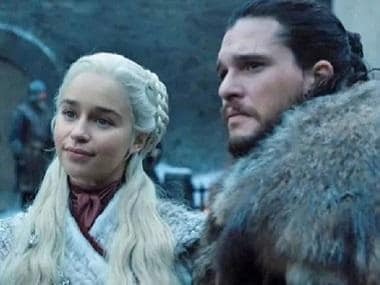 Jon and Dany will meet. There will be a clash between the forces of fire (Jon, Dany et al) and ice (the Night King and the White Walkers). Cersei will come to a painful end. 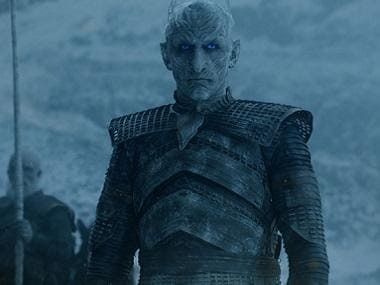 Of course, there may be some plot twists that would throw the viewers' off course — like the White Walkers actually turning out to be the good guys, as one fan theory posits. But there are broad brushstrokes that one can bank on at least in terms of the trajectories of Dany, Jon, Cersei — even Tyrion. With not-so-major characters, like Theon, however, the field of conjecture is wide open. Anything could happen to/with him. And as we see him shivering in the waters off Westeros as Euron's warship 'Silence' sails off in the distance (with Yara and Ellaria Sand on board), what's important is that Theon lives another day — and may still have a role to play in the 'Great War' to come.